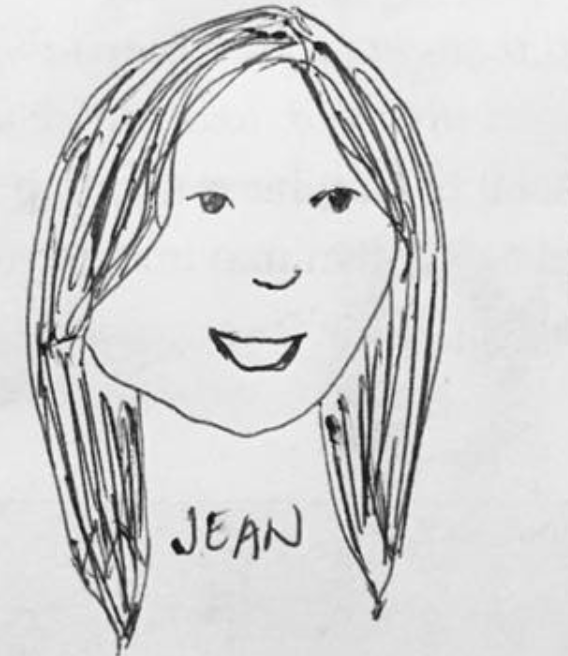 Call me Jean. I’m an environmental planner. That’s synonymous with “urban and regional planner,” “town and country planner,” and “city planner,” it just depends on the context or perspective of what area of planning we’re talking about. I studied in UP-SURP. Past work include city economic development under the UN-HABITAT and post-disaster recovery and rehabilitation under USAID Rebuild. Glad you’re interested. A whole range of things. But the bottomline is making the human and environment relationship harmonious, where both of them will have respect for each other, and will stay together lovingly. I’d like to share a library of journals and books on the topic, but anyway, how we achieve that bottomline is by aligning many things and putting them in place, like policies, land uses, and social development, and looking into the near and far future to make everything work. They’re just like notes, producing lone sounds when pressed individually, but it’s a whole beautiful melody when put together, and terribly painful to hear when a single note gets out of place. If you want to know the scope of what we do in the Philippines, the law pertaining to our profession is RA 10587. Our professional organization is the Philippine Institute of Environmental Planners. Sharing is caring. I learn a lot of things because I read and I go out of my way to study and attend lectures. I get to go to places and work with so many people, and each place tells so many stories and lessons. I’d like to share that to those who do not have the opportunity. I’m interested in how other people would react if they knew about all these things. I’m thankful at how so many of you drop by my blog–to study, to ask questions, to print the review series, and all. When I started this little project, I would never have thought it would reach so many people in the Philippines, let alone around the world. 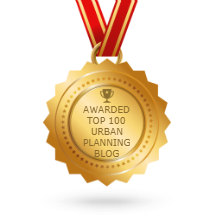 I’m also very honored at how Feedspot listed my work here as part of the top 100 urban planning blogs, along with CityLab and Planetizen. I’ve been on the list since 2017, and I still find it surreal. Maraming salamat po. To date, some people also still give me the questioning stare when I say I’m an urban planner. It’s about time people get to know what it means, beyond politics, buildings and cityscapes. Working on the Planned City Extension and Local Economic Development of Zamboanga City. Photo courtesy of R. Falcasantos (2016). It’s the way to preserve what we have, and the road to a better life for everyone. I love the earth. You should too. It’s our home. Without it, we’ve got nothing. Anything we’ve got–food, shelter, our loved ones–wouldn’t be here if there were no land to stand on, and no resources to use. I believe in people too. By nature, we care. And we have the capacity to improve and to contribute to development. As I said, planning is a whole range of things. It’s multi-disciplinary, and ranges from technical math and design to people-centered actions to legal aspects. As a planner, I’m knowledgeable on the basics of each, but we’ve all got our fortes. I lean more on the socio-economic and environmental sectors. Local economic development, disaster risk reduction management (DRRM), rehabilitation and recovery, and community development are things I’ve worked on. Right now I’m most passionate about placemaking. Talking about livable cities in the YSEALI Urban Planning and Smart Growth Workshop, 16-21 May 2017, Singapore. I’d love to learn from you too. Comment below, and let’s keep those ideas coming. Hi Jean, I’ve read with interest your blog posts. Your articles on planning are highly readable, and you have the talent for effective communication. I also enjoyed reading your EnP Board Review Series. Oh yes, I also consulted for U.N. Habitat Philippines (2015), where I was Legal Advisor for ASUD, particularly for PCE Silay, Iloilo and CDO. I am a real estate lawyer, a REALTOR, etc. with passion for planning. I’m glad I came across your blog. Hi mam Jean, ako si boboy i just wanted to say Thank you for the EnP Reviewer Materials you posted in MissUrbanite…it really really help me. again thank you i hope marami ka pang mainspire at matulungan to become 1 of Us. Hi Ms. Jean, im planning to apply for EnP licensure exam this year. But my concern is that i just graduated march of 2012. May chance ba na ma approve ung file ko kung sakali?, given the experience that i have right now. I came across “Air Quality in the Philippines 2008 – 2015” in slideshare and was wondering if I can possibly have a copy of it? I would like to use some information in there for my graduate thesis and be able to reference them properly. This was the most recent paper I was able to find as other reports are outdated. I am from SLU, Baguio taking up Envi Engg. Hi miss jean, napaka helpful nitong blog mo para s tulad kong balak mag take ng EnP board exam this coming june 2017. But just reading some of your posted reviewers i i saw that there are plenty of laws i really don’t think i can make it. But just as i read your blog saying a one of a very popular brand “Just do it”, that’s when my mind refresh and am so much interested to follow ur review series for me to start on. Thank you and more power.!! Hi ma’am! this is Pats Oliva from Health Care without Harm – Asia and we’d like to request for your contact details? We’d like to invite you to our #ChooseHealthyEnergy Campaign Launch this week. I recently read your blogpost on The Nature Of Cities, and then continued here. I worked in climate change and clean transportation in China as a grantmaker and am now trying to understand the transportation issues in the metropolitan areas of Southeast Asia. I would love to be connected and here your perspectives. Hello po! Im currently a graduating student taking up BS Environmental Science. May I ask if I can pursue to become an environmental planner? And can you suggest where can I get some planning experiences to fulfill the 5-year requirement for the EnP board exam? Greetings Miss Jean, I’m a senior high school student and I’ve just recently come across your blog. I’ve been meaning to consult either an environmental or urban planner in helping me make a decision. I’ve recently been accepted to ADMU in their AB Social Science program but I’ve recently appealed to shift to their BS Environmental Science program. I’ve also been accepted in MC’s BS Environmental Planning and Management program. I’m now waiting for my UPCAT results but in the case that I pass my program of choice (BS Geography), from which of the three schools with their program offerings do you think would best serve my purpose of becoming either an urban planner specializing in sustainability and environmental issues or an environmental planner like yourself? Thank you in advance! I’m really thankful with this blog and of course you. This blog helped me pursue the last PRC 2018 Urban Planning board examination (June 2018) for any four -year course graduate. I’m a licensed real estate broker by profession and now an EnP as well. Arch. Jun Palafox and Arch. Armando Alli are my main inspirations to reshape our country. I’m still dreaming that one day we can be a first world country just like Singapore and other neighboring countries. My dilemma is after passing the board, I don’t know where to go. I really want to help in developing the traffic system here in our country. Too much time is wasted everytime especially in CBDs. Congested roads, too much vehicles and no sufficient walk paths and bike paths make the matter worst. BS Accountancy is my undergraduate course. Glad if you can give me advice. Thank you so much! More powers! Hello! Nice to know about your blog. It is interesting to see young people like you to be active in urban planning. Good luck and hope you inspire more young people to do the same. All the best. I would like to congratulate you on your prolific writings, I had the opportunity to read your piece in yesterday’s Inquirer on Petropolis – well done. However, there is one area where we are diametrically opposite in our beliefs. When you have hours to spare check out HG Wells writing, I think over 100 books plus stories articles…. Good day, Ms. Jean! Thank you for your articles. I’ve been following them especially the ones on Philippine Daily Inquirer. I would just like to ask, do you have any advice on young individuals like me who want to study at UP SURP? I want to be an environmental planner too but I am still hesitant if it’s the right path for me.